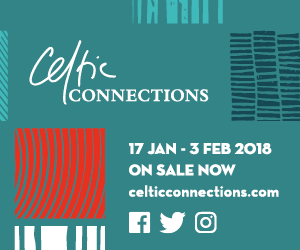 Put your fiddles up for the return of Celtic Connections, kicking off tonight and running until 3 February in various venues across Glasgow. To coincide with this year’s festival, Glasgow’s newest party planners on the block – Siobhain Ma (Happy Spendy, Sister Collective) and Craig Angus (Savage Mansion) – are launching Underachievers Club. For their first outing they’ve teamed up with CC and Lost Map Records for an all-dayer featuring The Spook School, Rozi Plain, Callum Easter, Mush and Hairband, as well as the Underachievers’ bands themselves, Savage Mansion and Happy Spendy. Other notable mentions on the programme this week include Heir of the Cursed, Haiku Salut and none other than Ronnie Spector & The Ronettes – yes, really. Freakender bring us a real treat this week, in the form of Canadian collective N0V3L. Featuring members of experimental acts Crack Cloud, Women and Cindy Lee, the six-piece may only have two tracks to their name currently but they show a great deal of promise. And, to make things even better, support tonight comes from LYLO. You may recognise sisters Nicola and Rosie Dempsey, who make up musical comedy duo Flo & Joan, from their divisive skit used in a Nationwide advert earlier this year. Some loved it, some found it unbearable; if you’re in the former camp then you may want to get a ticket for their latest show, Alive on Stage, in Glasgow tonight or in Edinburgh on Saturday. Little may be known about mysterious Nigerian musician William Onyeabor, but the 2014 documentary Fantastic Man, directed by Jake Sumner and presented by Alldayeveryday, attempts to unravel the mystery. Featuring contributions from fans of his work, including Damon Albarn, Caribou and Femi Kuti, the film delves into Onyeabor’s back catalogue, looking at his work and influence. Fritz Lang’s much-imitated sci-fi masterpiece, Metropolis gets a welcome outing this week, especially as it’s screening with a live DJ soundtrack by Le Vangelis. The film opens the National Museum of Scotland's film season, Robots (22 Jan-25 Feb), which will continue into February with other sci-fi gems including Silent Running and The Day the Earth Stood Still.